In celebration of APLIC-I 50th Anniversary, we are posting profiles of many of our retired former members. We are also seeking current contact information for colleagues who should be appearing in this blog or attending our Chicago Conference April 24-26 2017. Please contact Jean Sack with former member information / your profile! I joined APLIC-I in June of 1996 as I started work as a consultant, primarily organizing collections for small nonprofits, particularly organizations working on health or gender issues in developing countries. APLIC primarily kept me in touch with librarians in the field, gave me moral support, and helped keep me up to date in information trends. All professional contacts/associations provide invaluable support, and APLIC is good at that. When I first joined APLIC, I was hired at Brown University Demography Library for the experience I had acquired as head of a special library in a large university. I had collection development experience, but the field I was entering was new to me. 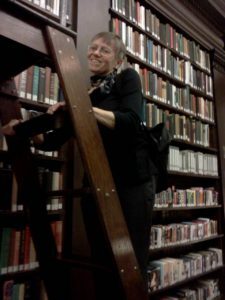 Fortunately, Carol Knopf, an APLIC member, was staying with the Demography Library and she was familiar with the faculty and students and with the collection. Also, the APLIC listserv produced prompt leads and answers to questions, and lending of unique materials. I’m glad I had the opportunity to serve as a Board Member and, also, as a Co-President in charge of planning an Annual Meeting. In so doing, I acquired additional skills, perhaps too numerous to mention. I also recruited new members, by extolling the values of belonging to APLIC. 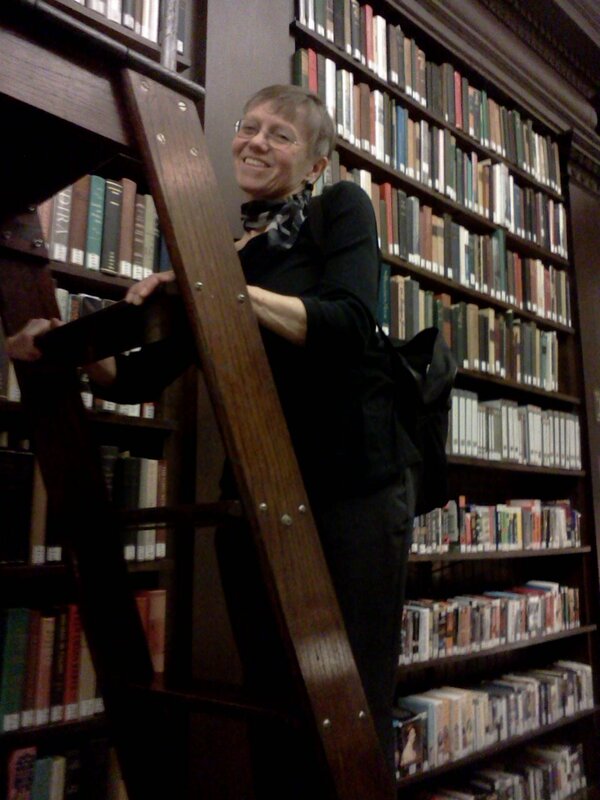 Touring others’ libraries provided a valuable opportunity to spark ideas upon returning to one’s space. I am very grateful to the Population Studies Centers Directors for including and funding and providing meeting rooms for their librarians to meet at the Annual PAA Meetings. Meetings with APLIC members from all over the country were occasions to look forward to, for the congeniality shared by like-minded, smart, friendly professionals in a specialized field of librarianship. I feel very fortunate to have been a part of this organization and I learned a lot from colleagues’ presentations and informal conversations. I have been retired ten years. The library was disbanded (sigh) when Pop studies got a totally renovated bldg. on campus (a big deal!). I was kept on, as Information Specialist. When I retired, a Rockefeller Library librarian was assigned to assist students and faculty at Pop. Studies Ctr. Recently, I chatted with a former colleague still working in the larger University realm. It was somewhat troubling to learn that the reference collection had been moved to the stacks and the reference area converted to comfy chairs and nooks. One can imagine students reading, but more likely laptops and phones than books! That said, I embrace the world of electronic resources, which I take advantage of, daily. 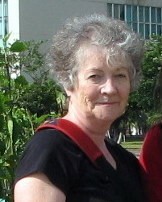 With my husband, I have traveled to many places since retiring in 2006. Most notably, we spent a month in China, where he lectured at three universities. We were resident in Wuhan for two weeks and in beautiful Zhuhai, as well. As tourists, on that trip we spent a week in Beijing and a few days in Hong Kong. We cruised the Mediterranean, out of Barcelona, and we have forthcoming trips planned. Joe and I took a Viking cruise, last Fall 2015, from Budapest to Amsterdam. Also, we have rented a boat and cruised the Shannon River with son, grandson and daughter-in-law. In 2017 we plan to travel to Russia and Scandinavia and to the National Parks in the US.